It’s 1930s Los Angeles and ex-Marine, and current PI, John Devin tackles his first case — get back millions stolen from Little Jackie Sunshine, America’s famous child star. The problem? Her rancid mother is the one who stole it. All of it. For Devin there’s only one way to go — get it back. Any way possible. 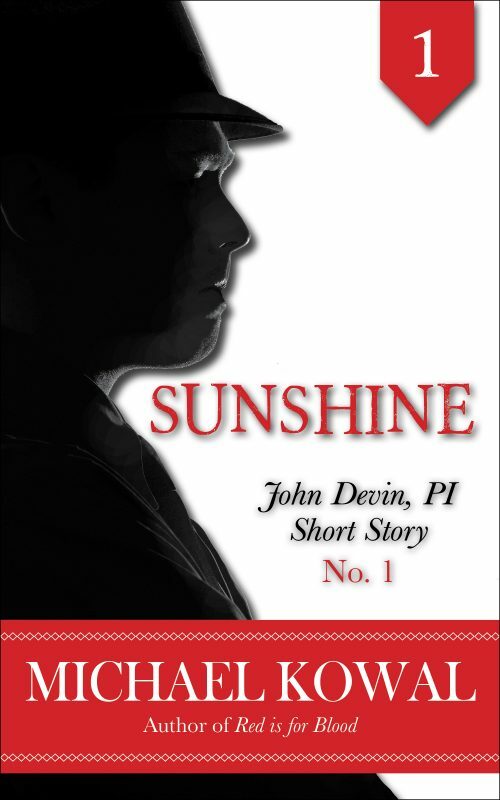 If you like your detectives hard-boiled and with attitude, with a strong sense of right, and characters you want to spend time with, grab a copy of “Sunshine.” Then join Devin as he solves his way through the amazing 1930s – the most dangerous, glittering, low-life time in Los Angeles’ crime filled history. Other Books in "John Devin PI Short Stories"
Sign up for my VIP List!